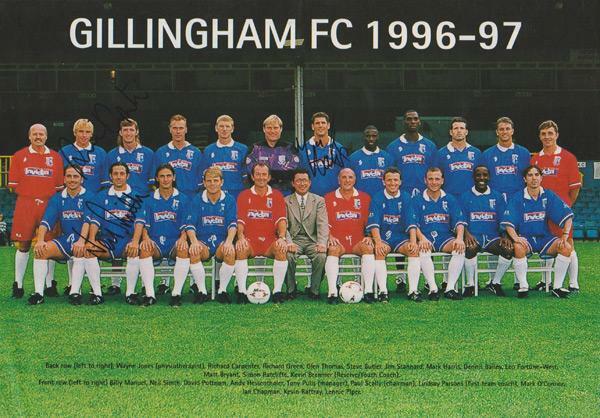 Official Gills team photo at Priestfields Stadium. 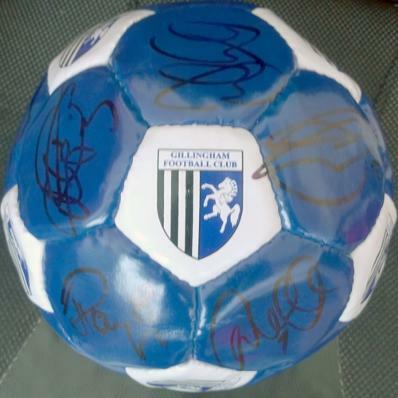 Tony Pulis (Manager), Lindsay Parsons (Asst Mgr), Paul Scally (Chairman), Andy Hessenthaler, Nyron Nosworthy, Steve Butler, Neil Masters, Ben White, Roland Edge & 18 others. 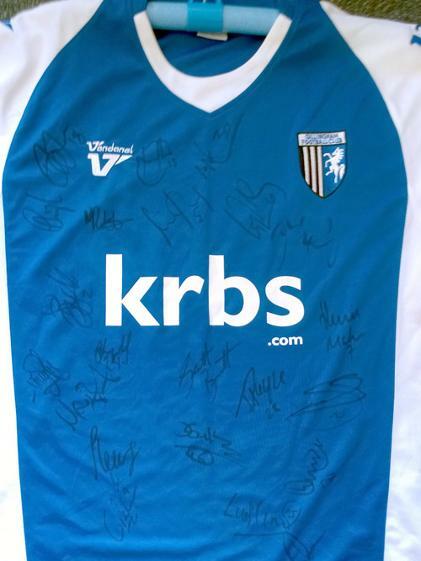 Signed by eight Gillingham players, believed to be: Harry Hughes, Dennis Hunt, Johnny Simpson, Gordon Pulley, John Ballagher, Pat McIntyre, Bob Ridley & George Francis. 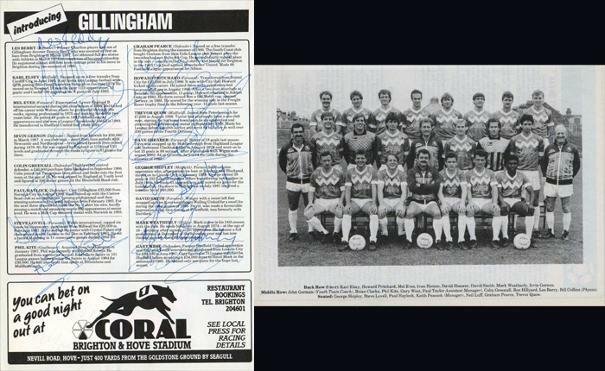 Team Autographs x 13: Steve Bruce, Mark Weatherly, Richie Bowman, Ron Hillyard, Trevor Lee, John Sitton, Colin Duncan, Andy Ford, Dean White, Colin Powell [played but name not on team sheet], John Sharpe [sub name not on team sheet] & Chairman Paul Scally. 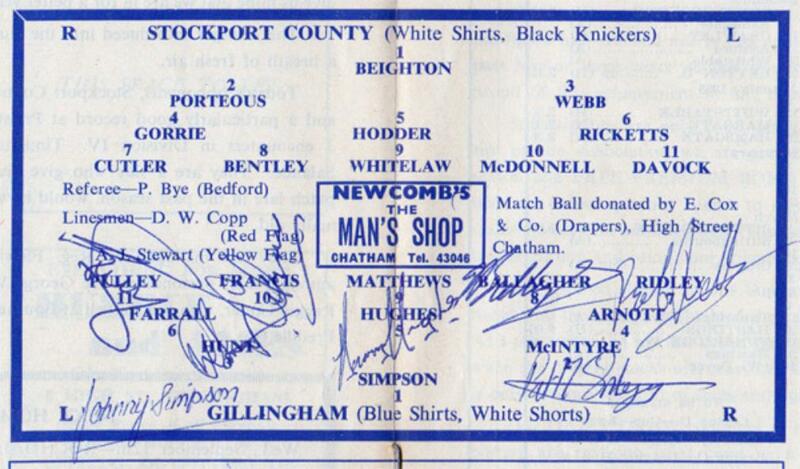 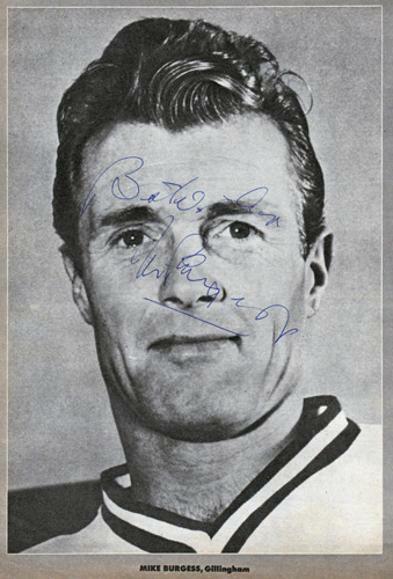 One autograph unidentified [possibly Kenny Price who is named on team sheet]. 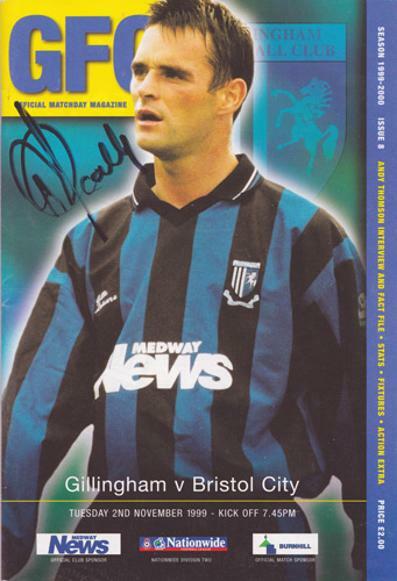 Micky Adams [named on team sheet but did not play -appears not to have signed]. 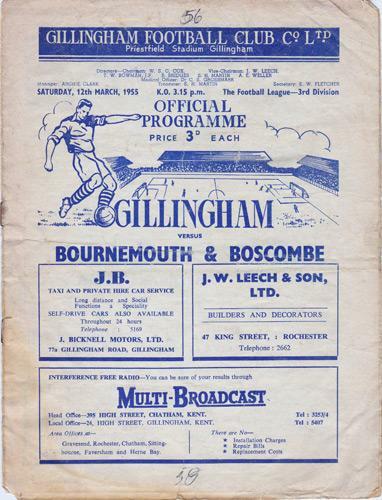 The Gills won 3-2 with goals from Bruce, White & Price. 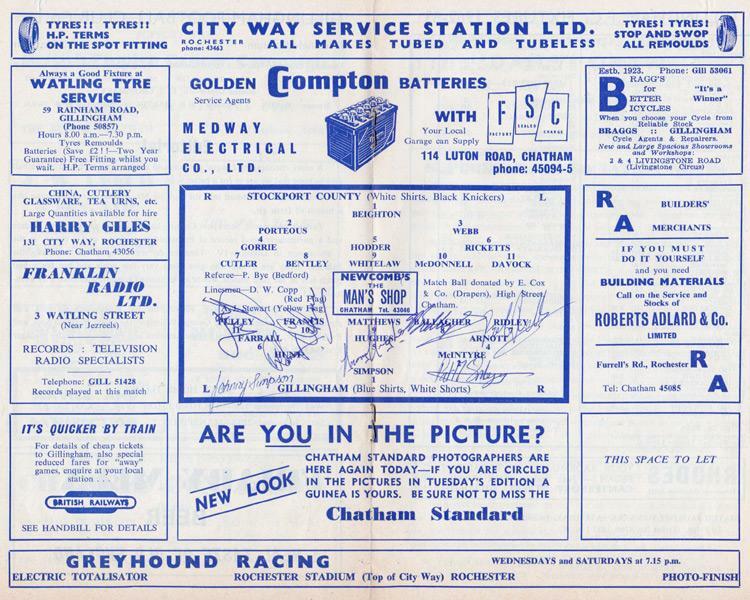 Les Berry, Karl Elsey, Mel Eves, Irvin Gernon, Colin Greenall, Paul Haylock, Steve Lovell, Phil Kite, Graham Pearce, Howard Pritchard, Trevor Quow, Dave Shearer, George Shipley, David Smith, Mark Weatherly & Gary West. 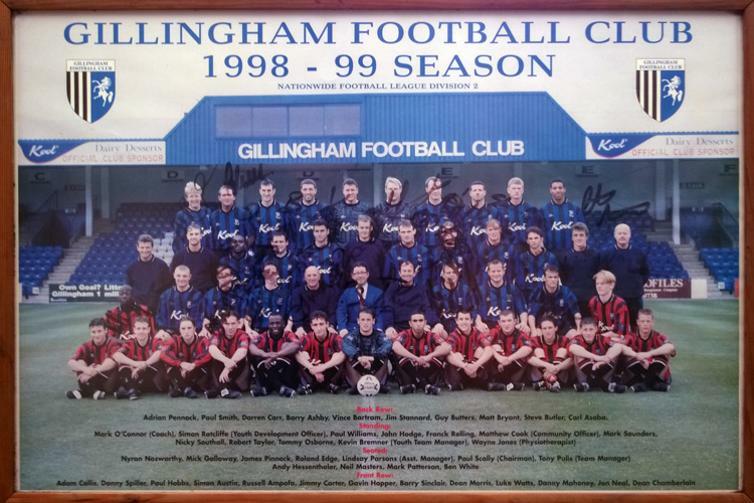 1996-97 Gills programme team pic signed by three players: Richard Carpenter, Mark Harris & Neil Smith. 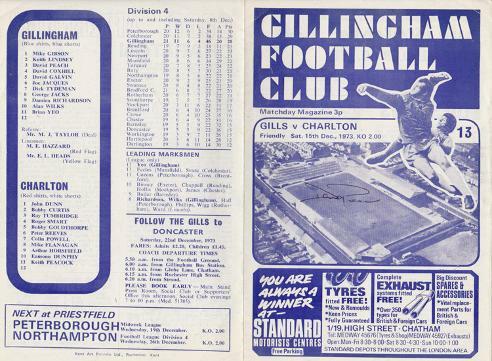 with The Gills owner Paul Scally. 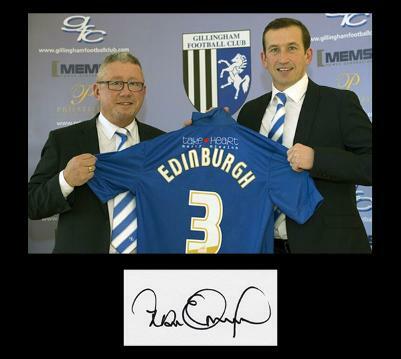 Rare Signed Gillingham FC player portrait B&W book page. 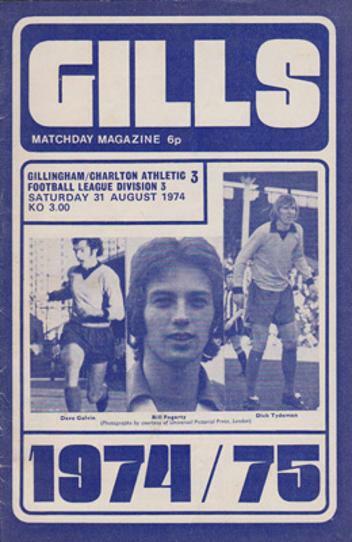 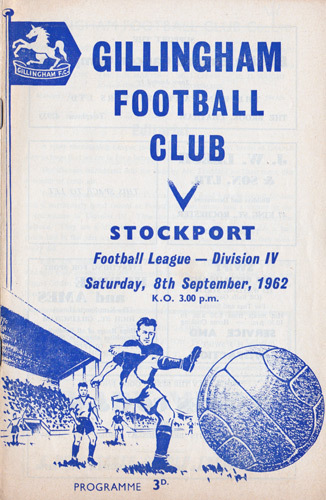 1974 Div 3 match day programme v Charlton Athletic. 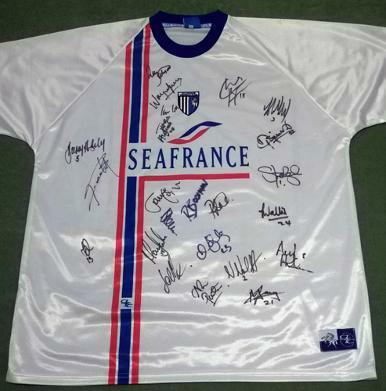 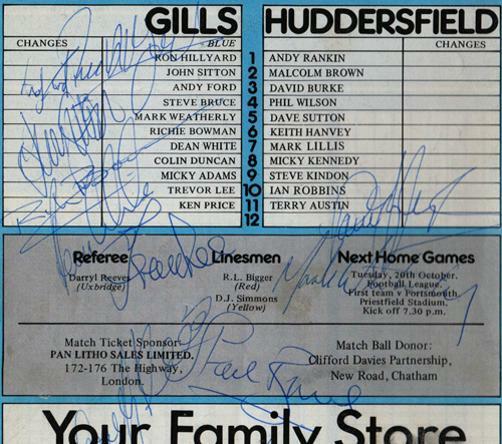 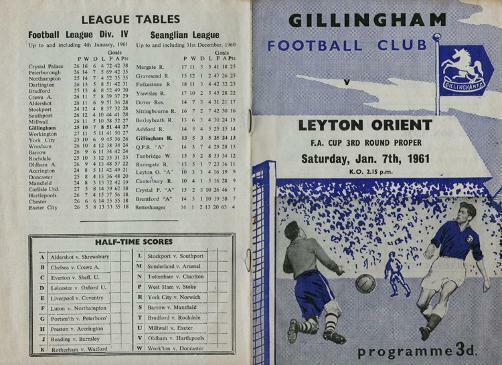 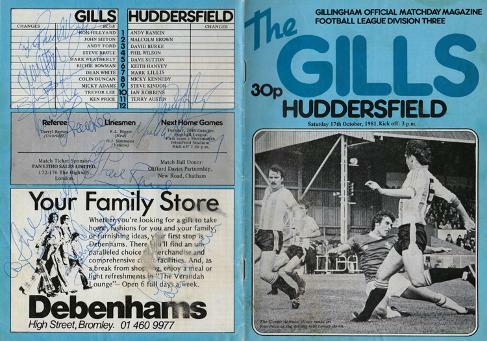 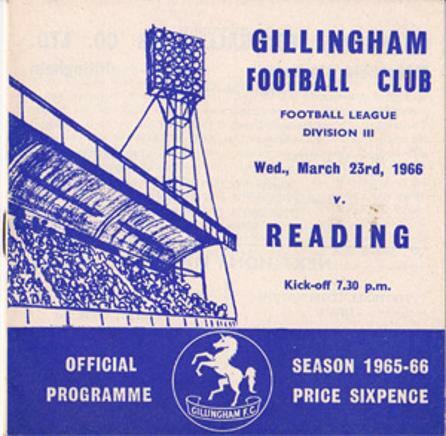 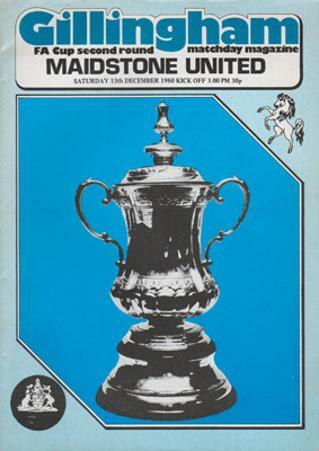 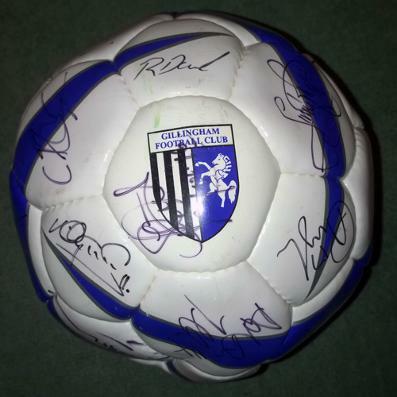 Welcome to the Uniquely Sporting Sports Memorabilia page for Gillingham football memorabilia and Gillingham FC memorabilia, and other soccer related football collectables and signed souvenirs for the Priestfield football legends and The Gills memorabilia.